Lazy Dog Farms is a small family owned and operated farm located in the gentle rolling hills of McNairy County, Tennessee. 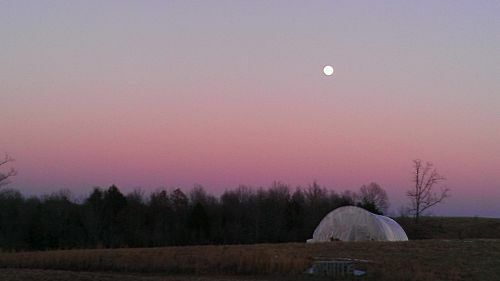 The farm consists of 138 Certified Organic acres. The farm has a mix of produce fields, pastures, woods and several streams. Certified Organic Produce grows in the low lying flats, while Certified Organic chickens freely roam the pastures. Heritage Berkshire hogs root among the trees in the many acres of woods while 100% Jersey Cows graze in the pastures. Our Berkshire hogs and Jersey cows are not Certified Organic. In the summer of 2011 Lazy Dog Farms began as a vision of a sustainable family farm. Since the acquisition of the farm it has been our family's goal to work in harmony with the land. With the support of family, friends and community Lazy Dog Farms has put down solid roots and continues to grow in diversification with each passing season.